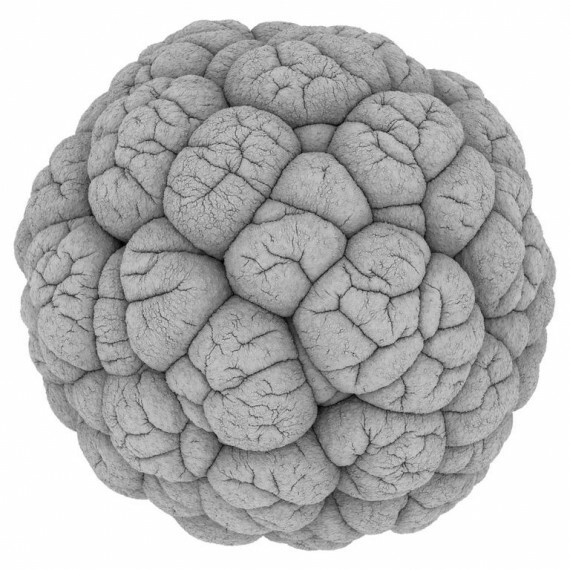 Digital artist Andy Lomas has won this year’s $3,000 Lumen Prize Gold for Cellular Forms, a monochromatic animation that uses computer simulated models of cellular growth to visualise an emergent 3D structure. The video is part of an on-going body of work exploring simulation systems inspired by biological processes and natural forms. Alongside his art practice, London-based Lomas has created digital and special effects for studios including California’s DreamWorks and ESC Entertainment. Other prizewinners include: Paris visual design studio Chevalvert for Murmur, an interactive ‘architectural prosthesis’ that enables audio-visual communication between people and walls; London-based French artist and scientist Patrick Tresset for robotic life-drawing installation 5 Robots Named Paul; and recent RCA graduate Christine Hooper, for her ‘cubist’ animation On Loop, inspired by David Hockney’s photomontages. Coinciding with this year’s Cardiff Contemporary festival, the touring Lumen Prize Exhibition – which aims to celebrate art created digitally – opened on 7 October at the city’s Llandaff Cathedral. Currently installed at Cardiff School of Art and Design, the show is due to travel to the Onassis Cultural Centre in Athens, the New York Institute of Technology and Art’otel, Amsterdam.